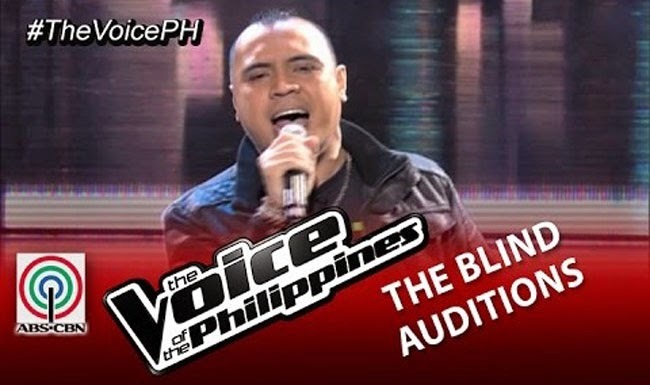 The Voice of the Philippines Season 2 continues to find artists with exceptional talent in the Blind Auditions and on November 16, 2014, and Mark Douglas Dagal was given a chance to try his luck. As a father, the 34 year old professional musician had always wanted to give all to his two sons. He decided to be an Overseas Filipino Worker to provide for his family but he also admitted that he had always missed them. Joining The Voice, he hopes to never to back again to another country and be far from his loved ones. The aspiring rock star sung ‘Superstition’ by Stevie wonder to which Apl De Ap commented that he lack the ‘gigil’ in the song Stevie Wonder always has. Sarah turned for him then Bamboo followed, convinced that the artist should be in his camp. Sarah asked for a chance to have a rock star in her team and promised the artist that she will study the genre that he preferred. Bamboo countered and said that he will push him to have a developed talent and win the title. Sarah jeered that Bamboo already has enough rock stars in his camp and it will be hard to fight it out. Bamboo then answered that metal against metal is the best way to make a better artist. The rockstar father picked Sarah and she was thankful for a chance given in her hands and promised to listen to metalica from that moment on to be able to coach him.